Keep your feet at just the right temperature while trekking through the snow or working on the ranch with the Bogs Tillamook bay. The Bogs ThermicFit one-piece inner booty works with an insulated midsole to create exceptional warmth AND durable shock absorption. The seamless construction and rubber/neoprene upper ensures waterproof performance while the EVA midsole provides a sock-like fit and comfortable support. The Ortholite premium insole is not only breathable, but odor resistant and anti-fungal. You can count on the Bogs Performance Outsole to provide reliable traction that releases mud and other debris with each flex. 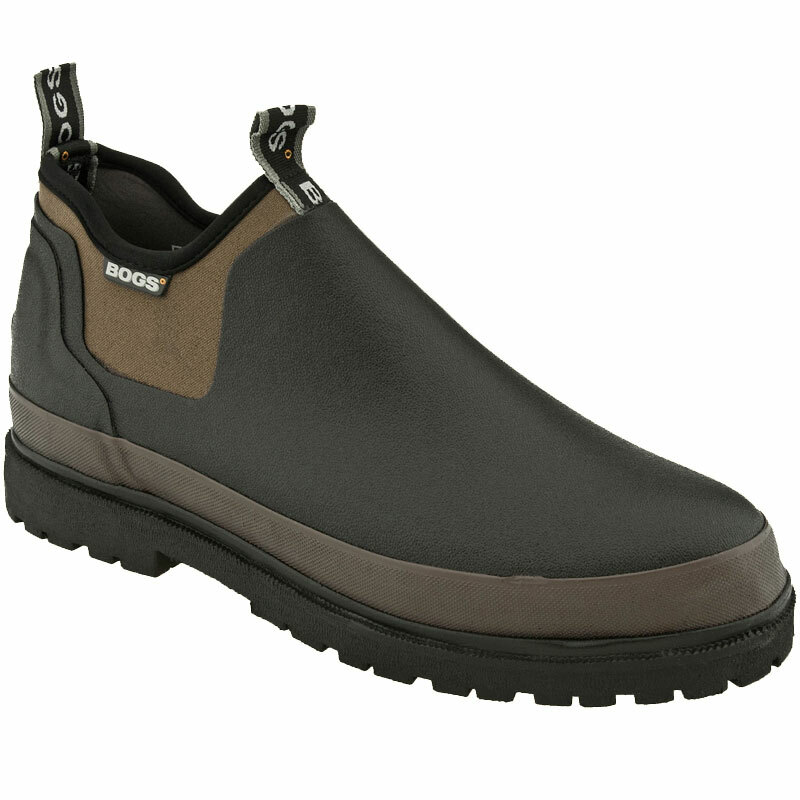 It's a slip-on style with all the warmth and durability you need, it's the Bogs Tillamook Bay.